Winston Churchill once said that ” We make a living by what we earn—we make a life by what we give.” Many at this time of year are indeed focused on giving, but many times it is difficult to know what to get the person who seems to have everything. Cash? Clothes? A gift card to their favorite store? This year, why not give a gift that makes a difference: a charitable donation to a great organization on behalf of your friend or loved one. But which organizations deserve your hard earned dough? Here are three of our favorites. 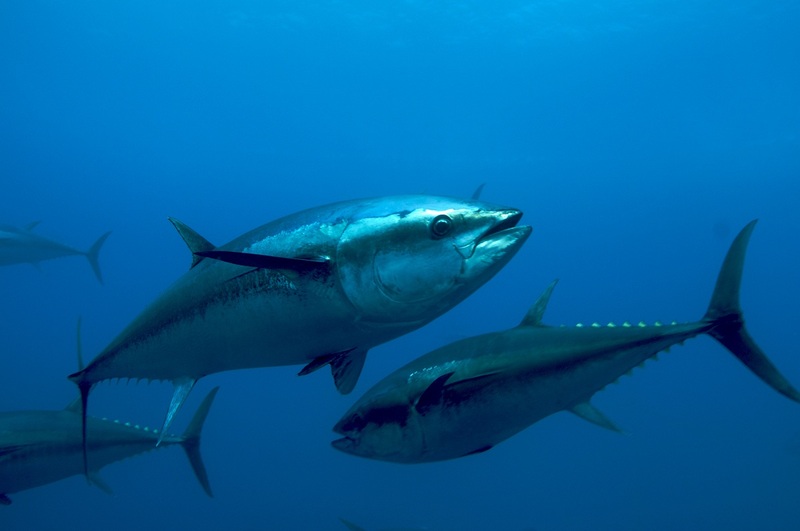 Oceana protects many fish populations, like this Atlantic Blue Fin Tuna. Although 70 percent of our planet’s surface is covered by oceans, until 2001 very little environmental funding went to protecting them. That is the year a group of leading foundations created Oceana, which has become the world’s largest international organization focused solely on ocean conservation. Since its inception, Oceana has launched international campaigns to create policy changes with real results that preserve and restore marine life. For example, in a recent campaign, Oceana sent the Chilean Minister of Economy a report that analyzed the annual quota for jack mackerel during the past 10 years. The study found that for the past eight years, the National Fisheries Council set the catching limit higher than was recommended by the Institute for Fisheries Development. Upon reading this study, the Minister of Economy vented his frustration to the National Fisheries Council and asked them to set smaller quotas for next year. Now Oceana has turned its attention toward protecting bluefish tuna and sharks, because overfishing is pushing these fish toward extinction. Some shark populations have already dropped by an astounding 99 percent! If something’s not done soon, oceans will be irreparably changed when these top predators disappear forever. One of the reasons Oceana is so successful is that it chooses “battles that are big enough to matter, but targeted enough to win,” Dansen says. To find out more about Oceana, visit their Website or check out their Guidestar report today. 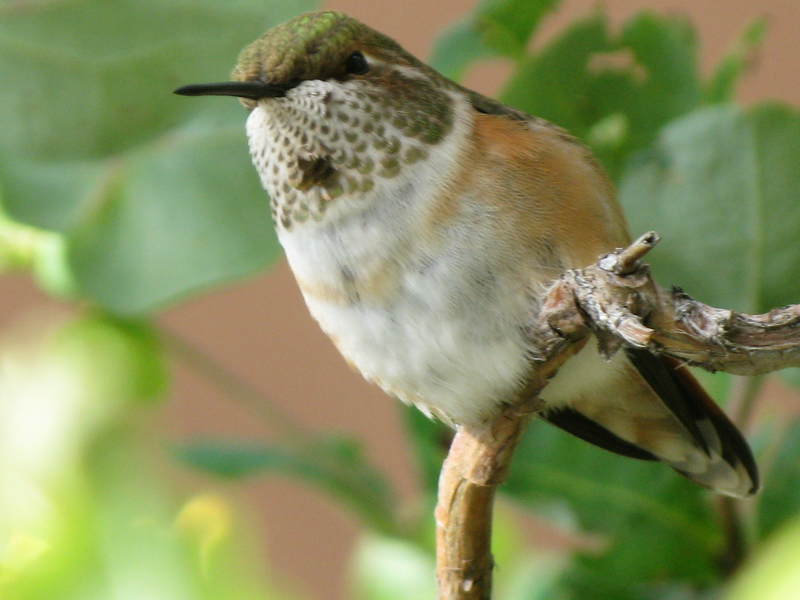 Hundreds of birds call the Nature Conservancy's Santa Fe Canyon Reserve home. Our first contact with the Nature Conservancy occurred during one of our many trips to Santa Fe, New Mexico. There they manage the Santa Fe Canyon Preserve, which consists of 525 acres and is home to a colony of beavers and more than 140 species of birds. The preserve offers a 1.5-mile interpretive loop trail and also serves as a trailhead for the 20-mile Dale Ball Foothill Trail System. The preserve is a gorgeous sanctuary where you can exercise, commune with nature and discover ruins from Santa Fe’s historic past. The Nature Conservancy is dedicated to protecting the lands and waters on which the diversity of life depends. And they are successful in doing just that! In fact, with over 1 million members, the organization now manages 1,400 private nature sanctuaries which are equally important and as fascinating to visit as the Santa Fe preserve. Together, they protect over 14 million acres in the United States and more than 84 million acres in Canada, Latin America, the Caribbean, Asia and the Pacific. One of the reasons for the Nature Conservancy’s success is that it has partnered with numerous agencies and organizations around the world, including the Environmental Protection Agency and the National Park Service in the United States. They’ve also teamed up with other non-profit organizations like Conservation International, NatureServe and WWF to create campaigns like the Natural Capital Project which makes conservation an aesthetic and economically sound choice and Rescue the Reef to protect coral reefs worldwide. Now you can help make a difference too! Simply visit the Nature Conservancy home page or find out more by reading their Guidestar report online. Little moments truly are big magic when mentors share activities like reading with Big Brothers Big Sisters. In his bestselling novel Dead Even, our pal Brad Meltzer wrote about husband-and-wife lawyers who were pitted against one another in the courtroom. At home, however, they were like any other couple, with shared interests and passions. One of those passions was their involvement with Big Brothers Big Sisters, an organization that paired them as mentors to a little girl. That story changed our lives. The organization got its start in 1904, when a young court clerk in New York City started seeing an increasing number of boys coming through his courtroom. That clerk recognized the need for trustworthy adults in the boys’ lives and started finding volunteers to mentor them, and as a result the Big Brothers movement was born. By 1916, the movement had spread like wildfire to 96 cities across the country. At the same time, a similar movement began for girls elsewhere in New York. It wasn’t until 1977 that the two movements joined forces and became Big Brothers Big Sisters of America. Now the organization operates in all 50 states and in 35 countries worldwide! 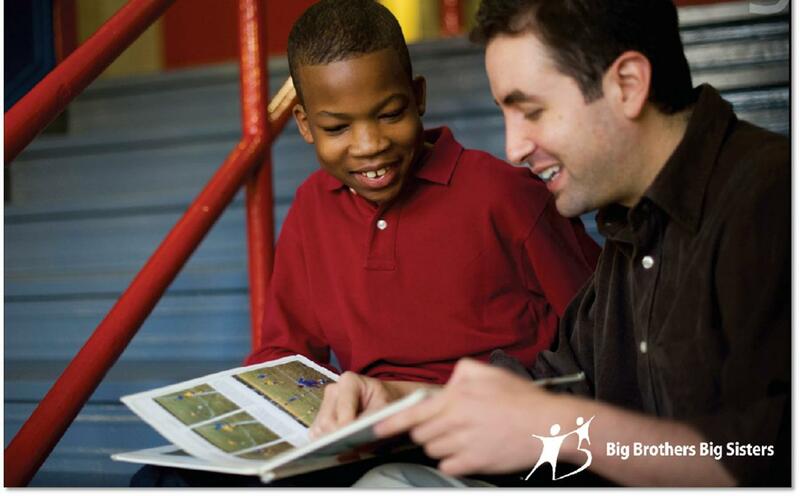 BBBS has three wonderful mentoring programs that help children in various situations. With community-based mentoring, Bigs and Littles meet in their community for as little as one hour each week to share fun activities, such as going to the park, bowling, reading, visiting the zoo and more. Site-based mentoring allows Bigs and Littles to meet once a week in schools to talk and have fun, help with homework or simply chat, draw or play games. Some cities also have a program that provides mentors to children of prisoners which helps these kids beat the odds of winding up in jail themselves. Whether you can open your hearts and serve as a mentor yourself or simply make a donation, your help is greatly appreciated and makes a huge impact on the life of an otherwise at-risk child. To find out more, visit Big Brothers Big Sisters online or check out their Guidestar report for details.